Says Chief Flynn retired and practice ended. The City of Milwaukee wants a federal court to dismiss a class action lawsuit over allegedly unconstitutional stop-and-frisk practices by the Milwaukee Police Department because former Police Chief Edward Flynn retired and because the city has promised to change its stop-and-frisk practices. “Flynn no longer exercises supervisory authority over MPD officer and MPD operations,” the city said in a court filing. Flynn also does not have the power to continue to have police officers “conduct a high volume of traffic and pedestrian stops,” the city argued. 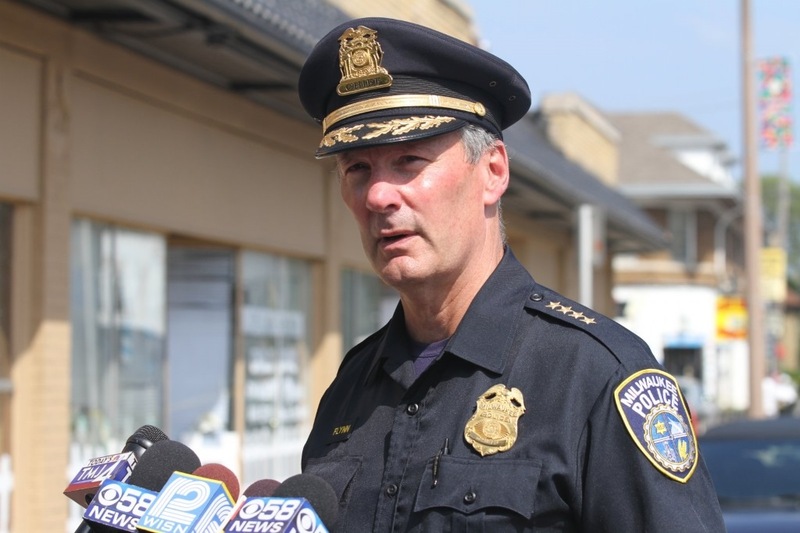 “It is clear from public statements made by Milwaukee’s leaders that the interim and the permanent police chief will not continue the law enforcement strategies implemented by Chief Flynn of which Plaintiffs complain,” the city said. The city is represented in the suit by the City Attorney’s Office and the law firm of von Briesen & Roper. ACLU of Wisconsin, which brought the suit on behalf of stop-and-frisk targets, argued against the city’s request. “Chief Flynn’s retirement does not repeal the City’s unlawful stop-and-frisk program,” the ACLU said. The city is trying to shift the blame for its “racially motivated and unlawful policies” to Flynn “while ignoring the allegations against the other defendants – the city and its Fire and Police Commission, the ACLU said. In addition, the organization said, the vague promises the city made to change stop-and-frisk practices are not enough to warrant the suit’s dismissal. The ACLU said none of the defendants have disavowed the program and there have been no modifications to written police documentation. The ACLU’s suit alleges that thousands of people were stopped even though police did not have reasonable suspicion of criminal activity, making the program unconstitutional. The suit also alleges the stops were based on racial profiling.